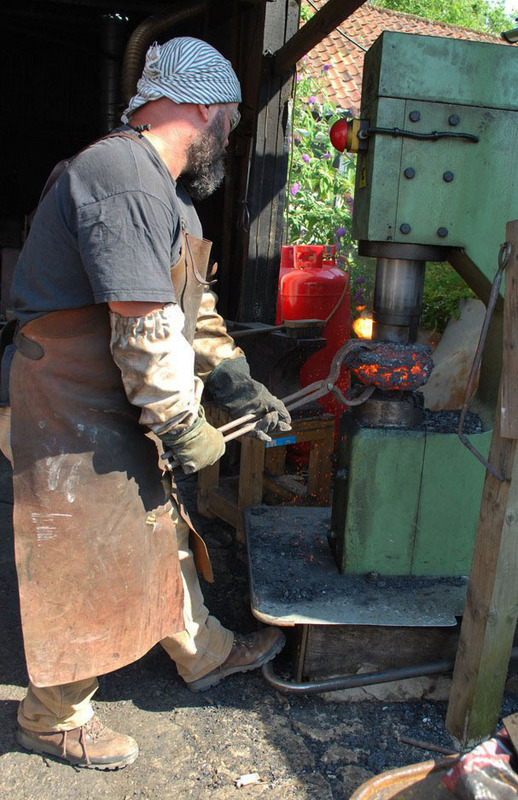 Last week, in the company of four other participants, I attended a very special workshop at Bushfire Forge, run by master bladesmith Owen Bush. Owen researches and practices historical techniques of bladesmithing, creating beautiful Saxon and Nordic style knives, swords and axes for collectors all over the world. I have featured one of his pieces in my previous post about making pattern-welded Damascus steel. One area of Owen’s inquiry is, how exactly did the ancients source and create the material from which they forged their high-status weaponry? 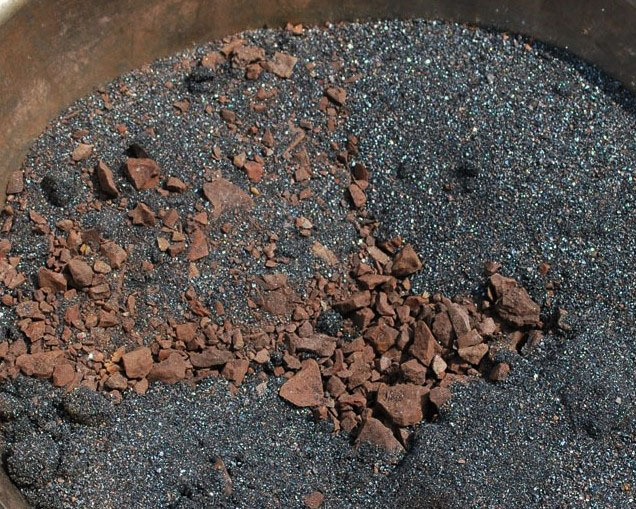 Long before the development of industrial smelting processes, craftsmen set up small furnaces or Bloomeries to make useable iron or steel from natural local iron ores, such as Hematite, Siderite, or Magnetite. 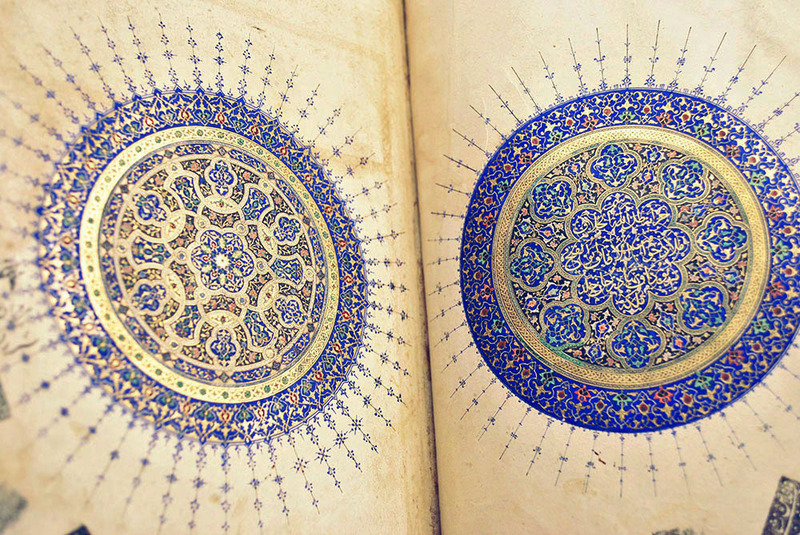 There has been a resurgence of interest in these processes as a kind of experimental archeology. Iron and steel are highly complex materials, with subtle crystalline structures that respond in many ways to changing temperatures and elemental substances in their ambient environment. 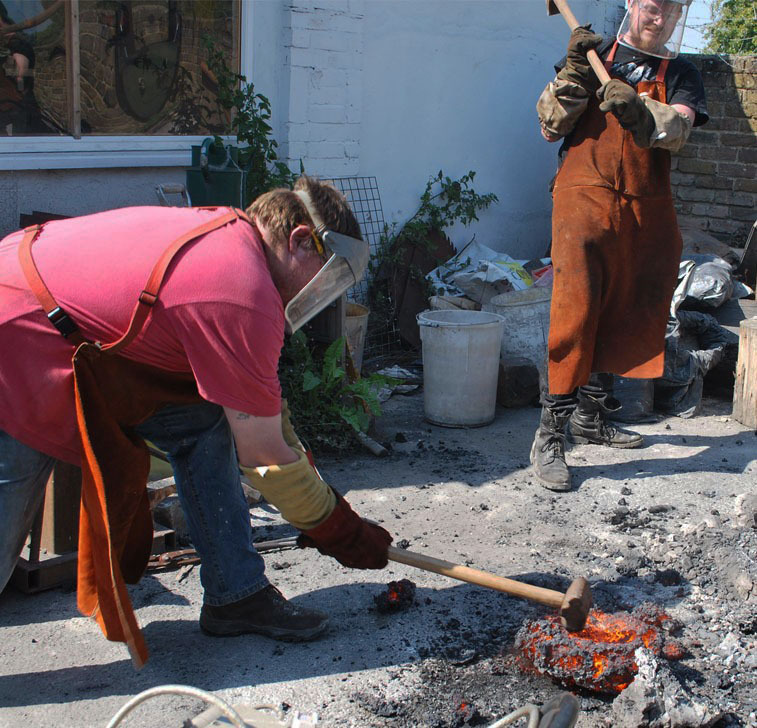 Working with Owen Bush, I got a sense of a master blacksmith’s intuitive as well as theoretical understanding of the metallurgy of the material, and of his willingness to engage in empirical experimentation in order to find out more about its behaviour. 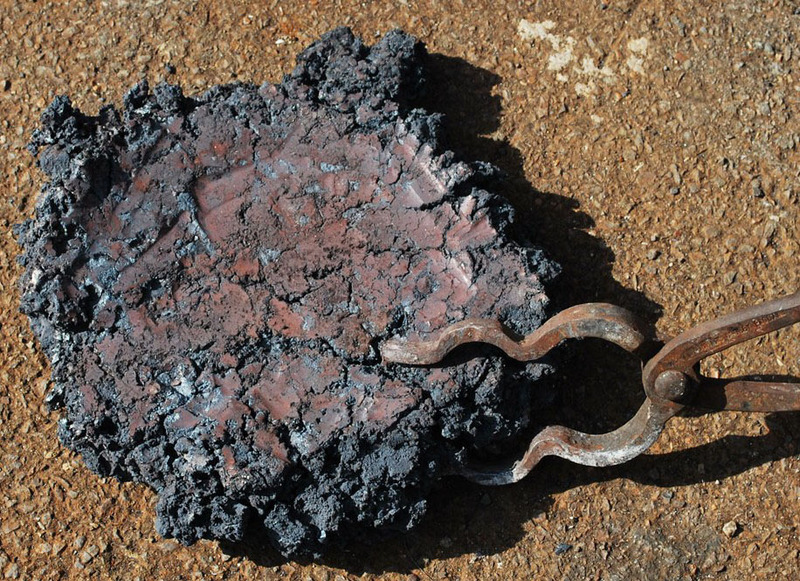 We undertook two separate smeltings, each with slight variations in the composition of the ores we fed into them, and in the composition of material used to make the furnaces. 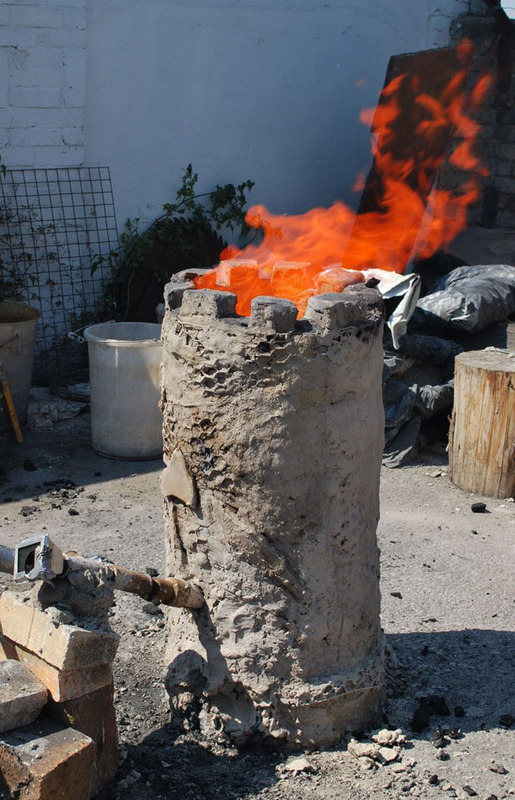 Basically a bloomery furnace is like a small chimney made of clay, fired up to temperatures between 1,600 and 1.700 degrees Centigrade using charcoal and oxygen. Around 30 kg of ore is fed into the top of the furnace, bit by bit, with alternating layers of equal amounts of charcoal. It is like feeding a dragon! Our clay furnace in full fire. The tube extending from one side is connected to an air supply, and Owen also rigged up a clever viewing device (the square glass on the left) so that we could peer into its fiery belly during the smelting process. 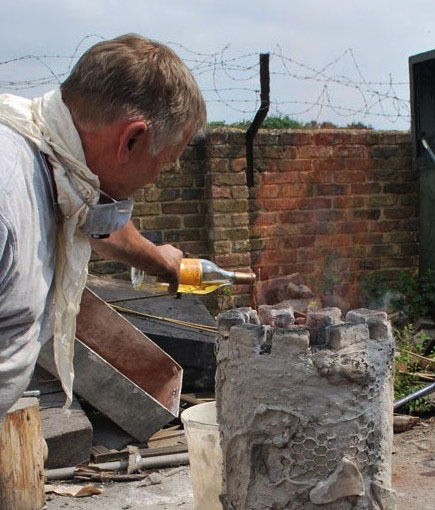 We fed one of the furnaces with mostly Siderite, local ore from Kent that Owen sourced. roasted and crushed, and the other with mostly Magnetite. The furnace burns for around four hours. 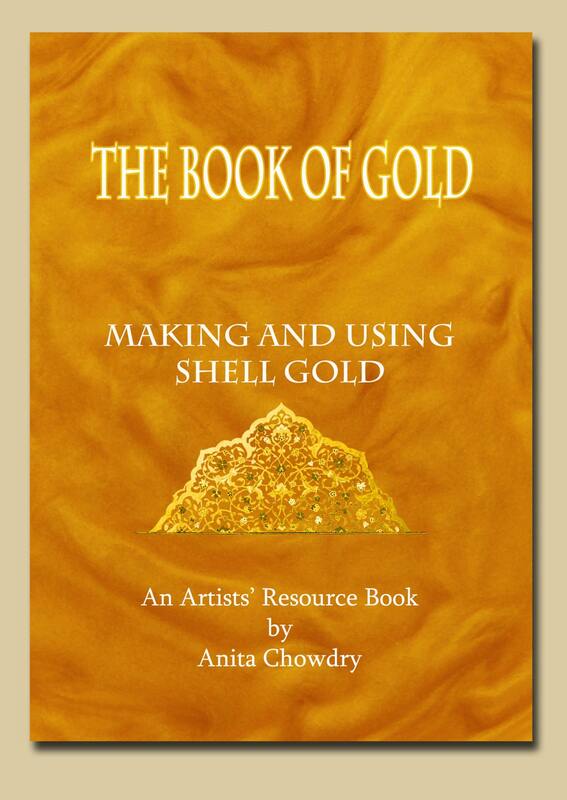 During this time a magical alchemy takes place within. 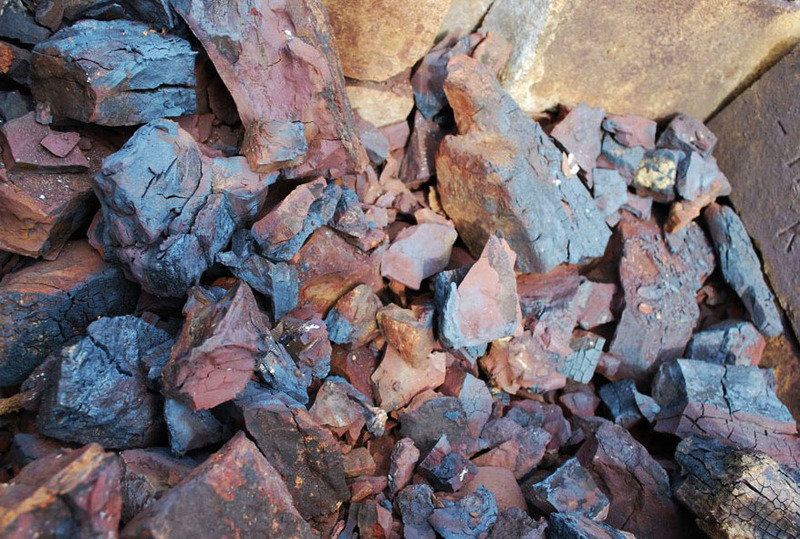 A waste material called Slag is produced from the boiling chemistry within the furnace – it is composed of silicates, iron and other elements. 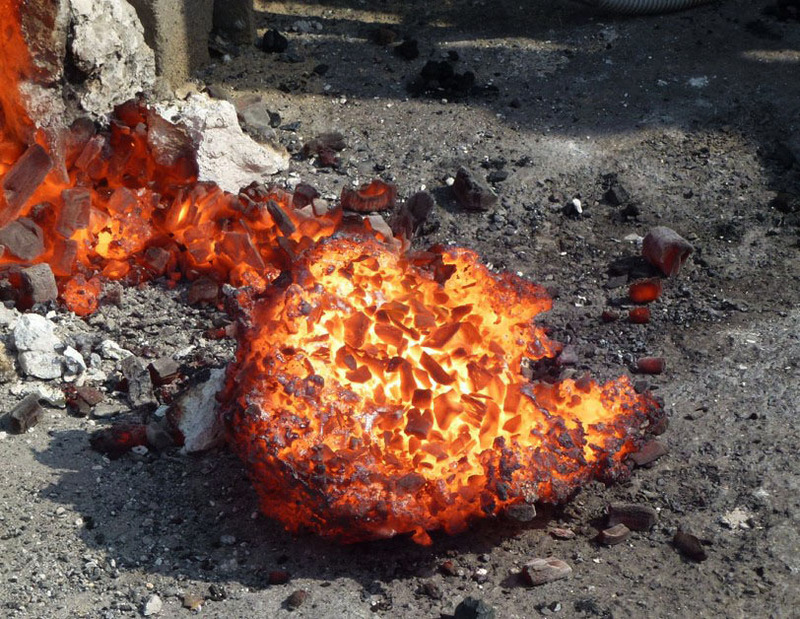 As the lump of metal or bloom is formed in the belly of the furnace, the liquid slag drops down and forms a boiling pool of magma in the bottom of the furnace. You can hear it ‘wumping’ in the furnace as it boils. Once the gestation period is over, it is time for the birthing. Very hot, and spectacular! 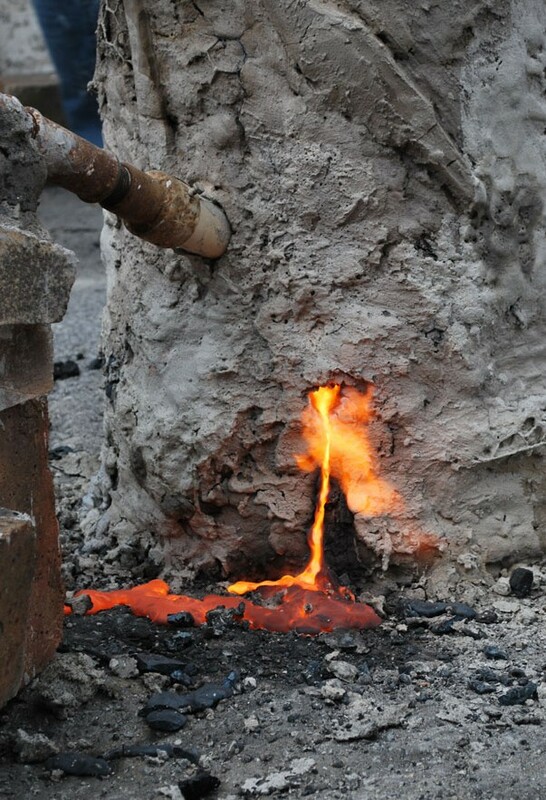 First, the furnace is pierced to release the liquid slag – which pours out like volcanic magma, and cools to form a brittle, crystalline crust. 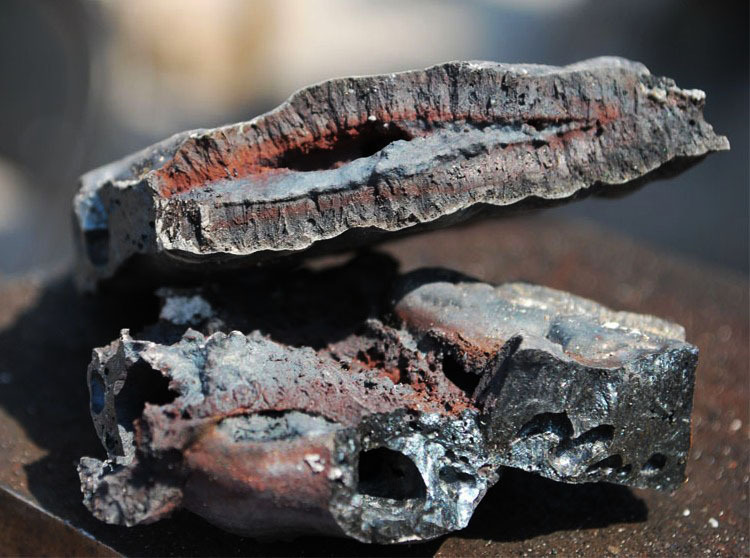 Then the Bloom is born – a glowing, friable mass of iron or steel (depending on the ore and the chemistry of the furnace) crusted with charcoal and slag. Two of the strong young men of the group (not me!) volunteered for the hot and heavy work of knocking the incrustations off the bloom with sledgehammers. Before the bloom has had time to cool, it is weighed, and then hammered hard under a power hammer to compact and consolidate the material. After that Owen cuts open the lump in order to examine and spark-test the material. Of the two blooms we produced, it turned out that the Siderite-rich smelting produced a wrought iron, while the Magnetite produced high-carbon steel. In my next post I shall cover the next part of this experimental workshop – making impressive knife-blades out of our home-made iron and steel. Owen Bush hammering the bloom to consolidate and compact the material. I’m editor of a quarterly magazine about ethnic Art. This is a non-commercial magazine sent to the at about 425 members of a number of societies. I’ve received an article about the use of iron for traditional indonesian weapons. I would be very much pleased to be allowed to use HR pictures of the iron bloom, the bloom is born and liquid slag pours out……. from your website about experimental archeology.